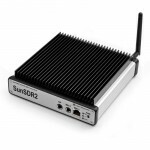 SunSDR2-transceiver – is an up-to-date system of the amateur radio communication in the HF and VHF frequency bands with the digital signal processing. This device is considered to work with the PC via Ethernet (LAN) without installing the drivers or via WiFi. Receiver is based on the direct conversion principle, transmitter – on the direct synthesis. 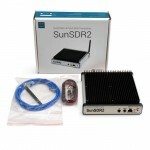 You have still a chance to become one of the first owners of SunSDR2 tranceiver. Just register your preliminary order right away! Delivery along Russia is fulfilled at our expense by Russian post, any other delivery means are paid by the customer. Delivery to the other countries is fulfilled at the expense of the customer (by default – EMS Russian Post, or other means, suggested by the customer). We are ready to consider all the suggestions and requests. In the right column in the “Documents” section, please, read “Public contract offer under the terms of the special offer “Prepayment for transceiver SunSDR2”. This transceiver has been worked out subject to the long-standing work of the company on the issue of SDR-technical equipment. It combines advantages of direct conversion and direct synthesis of radio signals, namely: high image rejection for reception and transmission, high blocking dynamic range. Interface for connecting to the PC – local network (Ethernet LAN) allows the remote work with the transceiver, using local network. For instance, transceiver can be located in the radio shack along with noisy kilowatt amplifiers, and operator can carry out connections at the PC, sitting in a quiet flat tens meters far. For normal work of the transceiver PC must have the following system characteristics. Transceiver can work with more up-to-date platforms, which surpass these system requirements. Transceiver is being processed at the moment. Preliminary technical characteristics are in the Table 1. 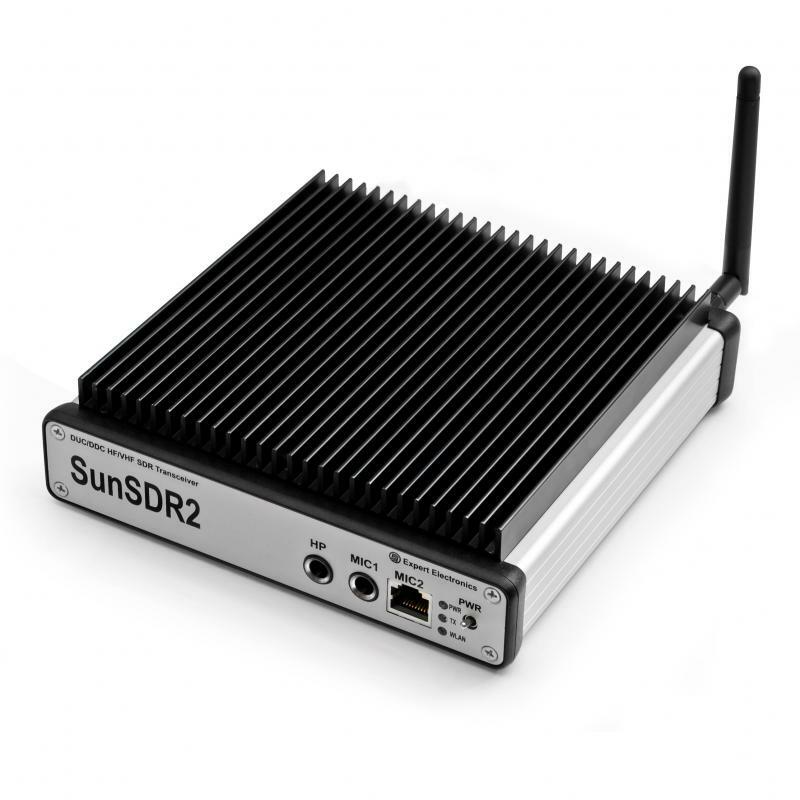 SunSDR2 is performed on the 4- layers-PCB, 160х160 мм sized. The majority of the components is put on one layer. This board is set into the light anodized aluminum frame 165х165х35 mm sized. On the upper lid of the frame there is a radiator for heat removal. 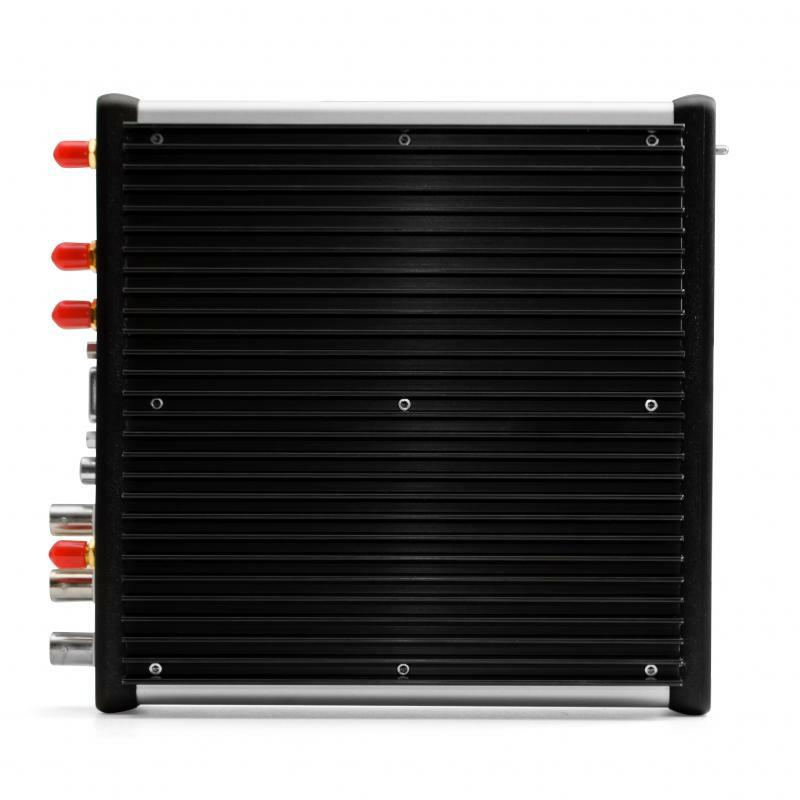 Passive cooling system is used in the transceiver on account of natural air convection. Receiver (radio-frequency part) is divided into 2 separate parts for HF and VHF bands. Full block diagram is given below in the application with photos. 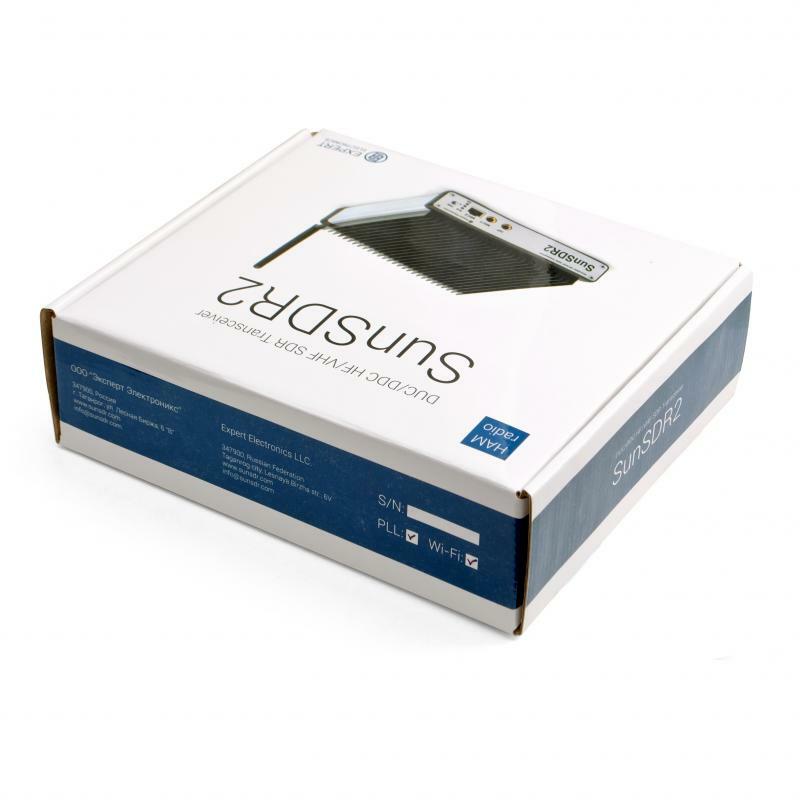 – Antenna switch – allows to choose the source of the signal, coming from the first or the second antenna connector, and also connects transmitter to these antenna connectors in TX mode. With this antenna switch duplex or half-duplex mode of the transceiver can be organized. – Attenuator – allows to enter signal attenuation to the -20dB level or 0 dB level (without attenuation), if it is not required. – BPF unit – consists of 9 suboctave band pass filters with which a range from 0 to 65 MHz is covered. It is composed of additional LPF with the pass band frequency of 65 MHz for the panoramic survey of the whole HF range or for work in different amateur bands by 2 independent receivers. 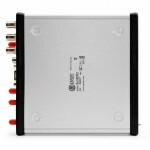 – Preamplifier – allows to boost the signal after filters to +12dB level or can be switched off. Here finishes the analog part of the HF range receiver. – Antenna switch – performs the antenna switching between transmitter and receiver. 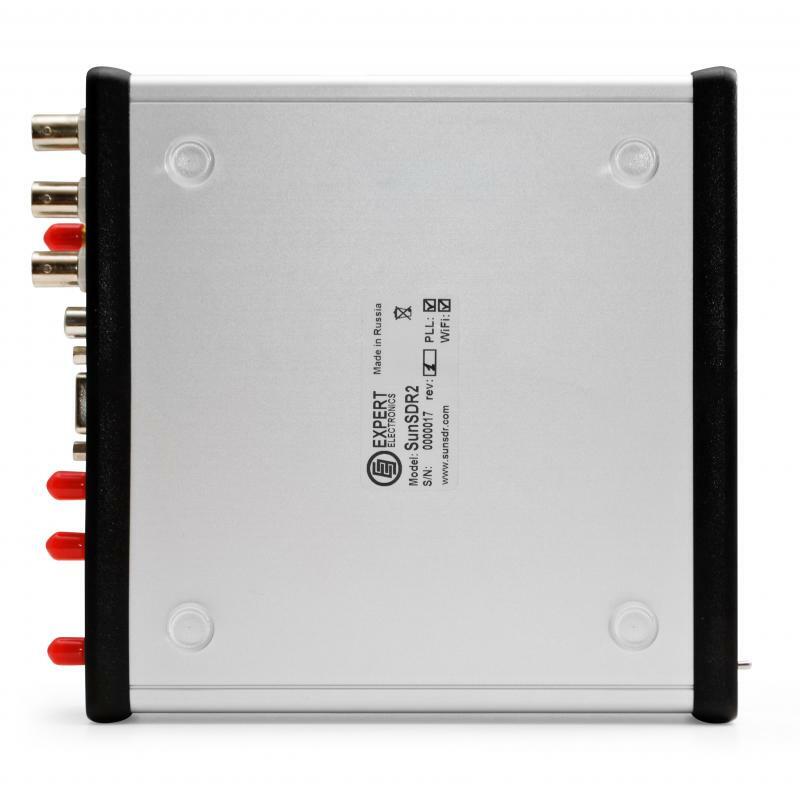 – Preamp 1 – allows to boost the signal to the +26dB level or can be switched off. – BPF unit – consists of 2 VHF-band pass filters. First filter is narrow-band, it covers 144-148 MHz frequency range, second filter has wide band-pass range of 95-148 MHz. – Preamp 2– allows to boost the signal after the filters to the +12dB level or can be switched off. Here finishes the analog part of the VHF range receiver. 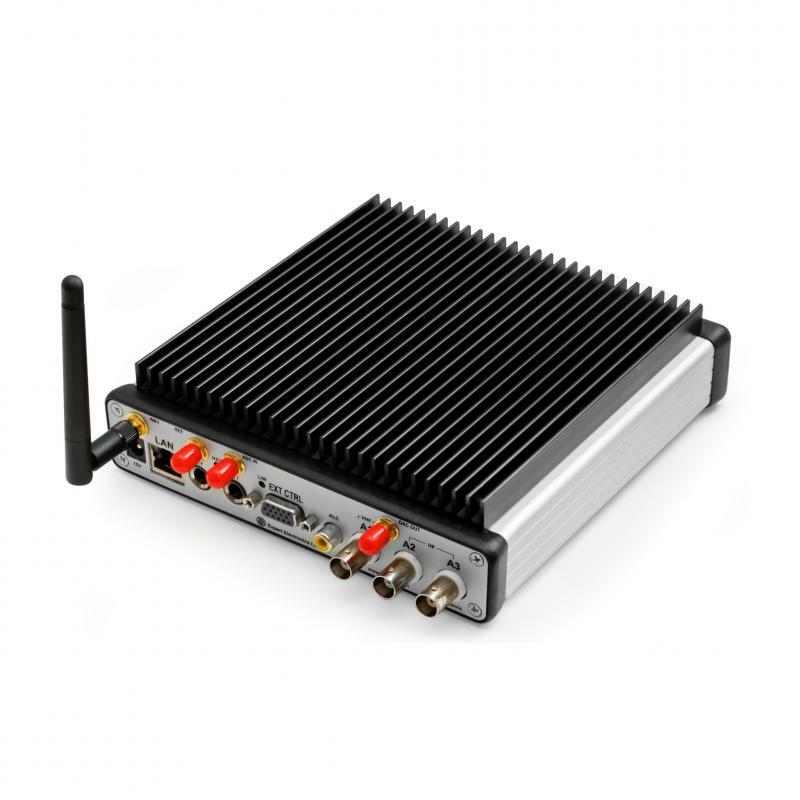 The heart of the receiver is a specialized RF-unit LTM9001CV-BA, which consists of high-speed ADC with 160 MHz sample rate and operational amplifier with 20 dB gain. This unit produces instant analog-to-digital conversion all the radio signals incoming. After the conversion the signal turns into the digital code. All the further conversions are performed in a digital form and are the set of mathematical functions. 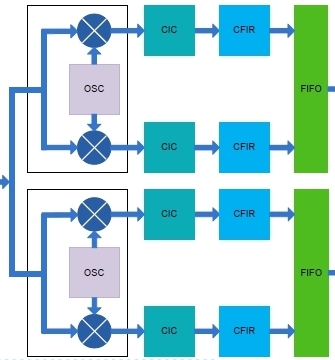 A signal, conversed by RF-unit comes to the programmable logical scheme (FPGA), which has 2 (it will be possible to use 4) independent quadrature DDC – receivers. The main task of the DDC – receiver is the transfer of the incoming signals from the high-frequency region into the low-frequency region and receiving IF signals in quadrature (with the 90° shift). Then the signal enters PC via local net (Ethernet or WiFi) for further processing. 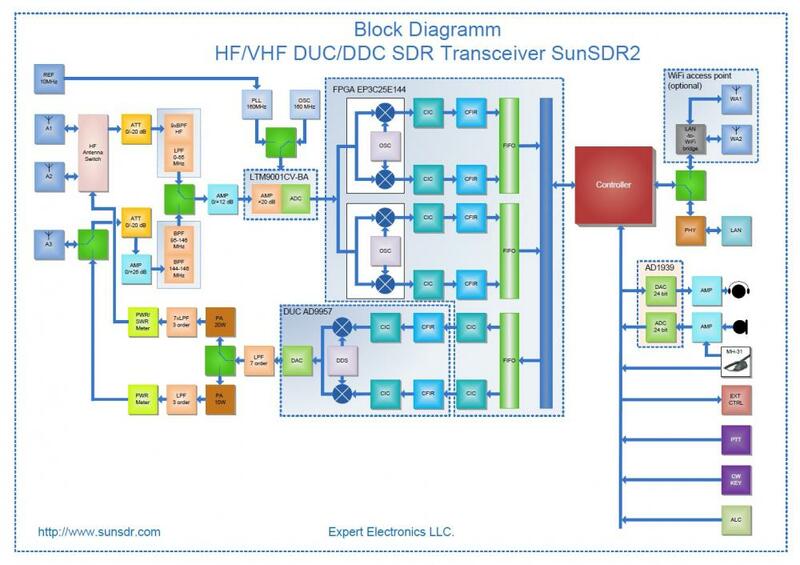 It should be mentioned that first DDC – receiver is used for demodulating of the incoming signal, DSP processing and giving it to headsets, second DDC – receiver is used only for calculation and spectrum mapping on the panadapter of the ExpertSDR software. Here there is a block-diagram of FPGA firmware. NXP Cortex-M3 LPC1778 MCU performs functions of relay control, by ExtCtrl connector signal conversion from the current sensor of PA and power-meter/ SWR-meter and data transfer between the PC and receivers/transmitters of the transceiver. All the basic processing, namely: filtering, demodulating, digital processing of the signals (NB, NR, NF, ANF) occur inside of the PC with the help of SDR-software. Transmitter is based on the direct synthesis of radio signals and is separated physically from the receiver. This way of the transceiver construction allows to use receiver and transmitter simultaneously, working in full duplex mode or using transmitter as signal generator, and receiver as spectrum analyzer. The heart of the transmitter is a specialized Digital Up Converter chip(DUC). IQ-signals generated in FPGA are transmitted by bus in a digital form to the DUC chip. DUC produces mathematical operations on IQ-signals and generates a signal of the required modulation type. Generated signal is transformed from the digital form into analog one by built-in digital-to-analog converter (DAC). DAC works with 640 MHz sample rate and has 14 bits of resolution. Present DUC chip is able to fulfill direct signal synthesis of any form from 0 to 300 Mhz frequency range. There is LPF in the DUC output with 220MHz stripe cut for high-frequency components filtration inherent to digital/analog converters. After this LPF there is signal switching to HF and VHF transmitter. As it is known, different boosting elements are used in HF and VHF frequency bands, including powerful output stages, that’s why its effective to separate HF and VHF. Transmitter is separated into two parts: HF and VHF. HF transmitter is based on the two-stage power amplifier. First stage is based on OPA2674 chip. Chip is composed of two wideband power amplifiers, included by bridge circuit, and works in a range from 1 MHz to 75 MHz Connection between previous and following stages in the receiver is fulfilled by broadband transformers. Second stage is based on push-pull circuit on RD16HHF RF power MOSFET transistors. Transistor stage works in A-B class and consumes 1.2 A in quiescent mode. Bias currents are formed automatically by controller. Transistor heating rate is directed to the radiator. This stage is able to develop power up to 20 W, which is passed further to the receiver. Next stage is LPF unit. In the LPF unit there are 7 low-pass filters of the third order. Suppression level of these filters beyond the pass band frequency is enough to obtain general harmonic curve suppression of 50-60 dB. Some filters cover two radio amateur bands, e.g. 10 MHz and 14 MHZ, 18 MHZ and 21 MHz, because harmonic curves of lower bands do not get into the higher one. Next functional node of the receiver is SWR-meter and power meter. In this part transceiver output power control takes place and its SWR load. In case of SWR overloading to the certain rate, the system gives a message on the software display and automatically and reduces power of switches it off. Then comes antenna switch, described below. VHF transmitter is also based on two-staged circuit. In the first stage of VHF transmitter there is a SGA-6286 chip of the wideband power amplifier. Through the capacitive connection boosted signal is given to the next amplifier stage. Output stage is based on the Mitsubishi RF power module RA08H1317M. 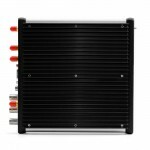 This power module gives out up to 10 W of output power to load in the 135 MHz-170 MHz frequency range. Boosted signal is filtered by LPF with the 170 MHz pass band frequency. On the LPF output there is a measuring of output power. Filtered signal is given to load through antennas switch. 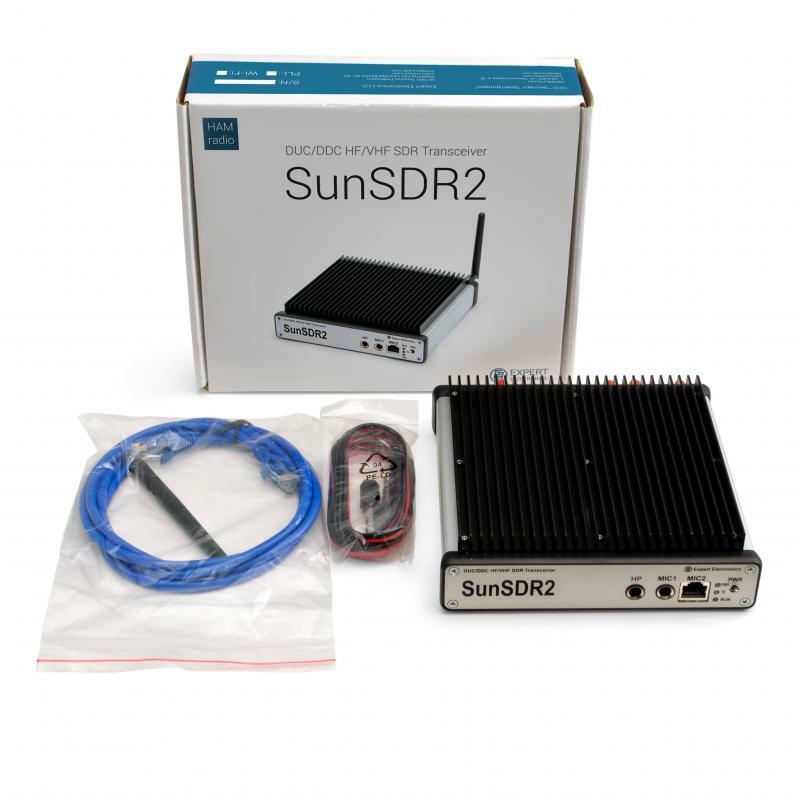 SunSDR2 has been designed in such a way that ExpertSDR software can update FPGA and microcontroller firmware automatically, meanwhile transceiver will be endued with new functions, which will be working out during all the product’s life. For the HF transceiver has a 2 built-in antenna switch, giving the possibility to work for 2 antennas both with duplex and half-duplex. For VHF 2M band there is only one antenna connector. In figure 2 there is a PCB with the mounted antenna connectors. Figure 2 – transceiver antenna connectors (1 and 2 – for the HF and 3 – for VHF). Both chips, ADC and FPGA heat the board strongly enough, therefore there is a thick aluminum base, fixed on the other side of the board (Figure 3). LAN interface allows to use Wi-Fi access points, providing wireless work of the PC and transceiver, making it more convenient. PC user can be anywhere in a flat, while the transceiver can be in one place, for example, on the table, connected to the powerful amplifier. Moreover, optionally, access point can be integrated inside SunSDR2 transceiver to reduce the quantity of additional devices. This access point is a small up-to-date unit of the 802.11n standard. 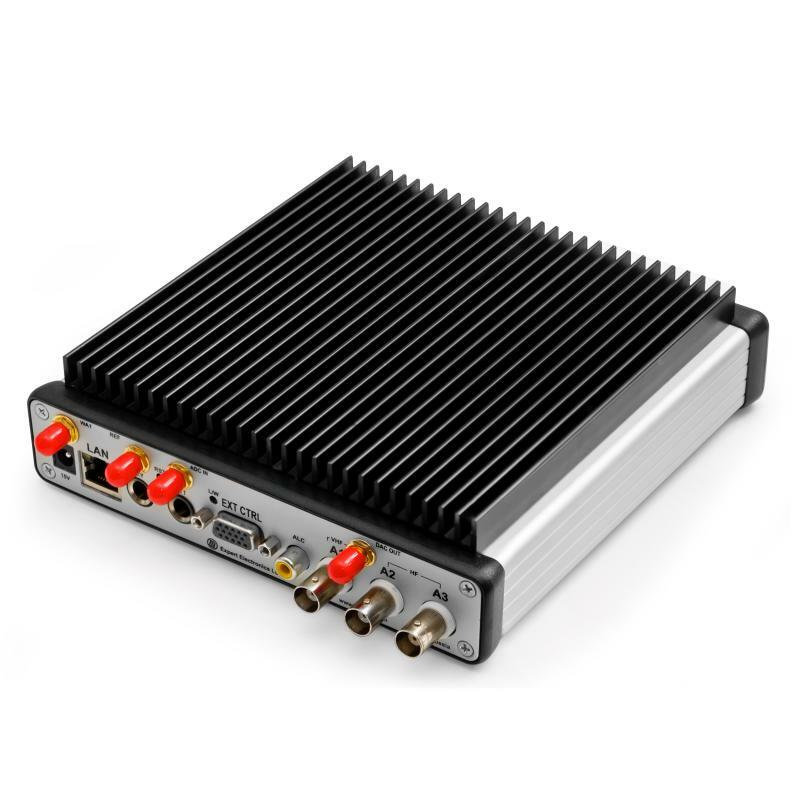 Figure 4 – WiFi unit can be optionally integrated inside SunSDR2 transceiver. 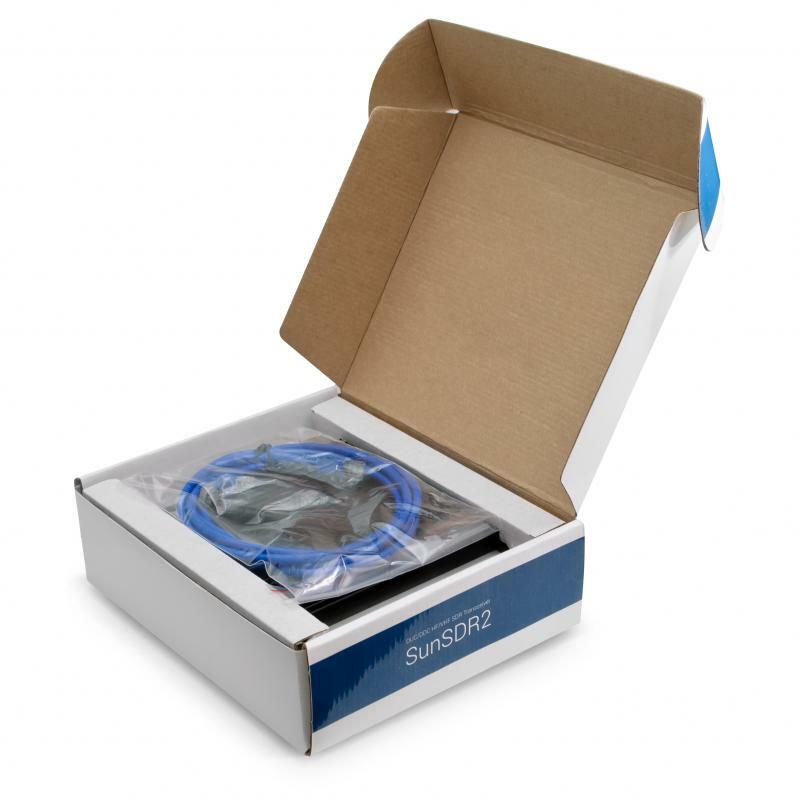 Ethernet-cable and software CD disc are supplied with your transceiver. You can purchase in addition transceiver power supply EE-PS-02 15В 5А _____ 70 USD.